He is now studying in 12th standard. Final exams of the 12th standard are nearly going to over. He concentrates on his study during the examination period and does not diverse his mind in thinking about his career after 12th. He has qualified for the 12th examination. Now it is the time to think over the career options & courses after 12th and many more related questions that are puzzling in his mind about what should he choose after 12th? It is a 3-year degree programme affiliated by National Council for Hotel Management & Catering Technology (NCHMCT). Admission is conducted through an All India Joint Entrance Exam- NCHMJEE. > Management Trainee in Hotel & hospitality. > Kitchen Management/Housekeeping positions in Hotels. Diploma courses in varied dance forms and music genres, as well as instruments, can be pursued by a candidate for hobby or as a professional programme. It is a one-year diploma in administrative vocational trade where candidates are equipped in taking short-hand dictations and perform clerical duties. One year diploma course offering management training in entry-level jobs in hotels, airports, travel companies/agencies, cruise liners and online travel booking websites. This is a 5-year integrated law course where candidates can choose a Law programme aligned with their core stream – B.A. LL.B (Hons.). Why is it an important decision? Picking the right course and college is a very important decision for a Class 12 student because the right choice will lead to a rewarding career. On the other hand, choosing the wrong option will mean that you end up precious time in studying a subject or a domain that doesn’t really interest you. Moreover, in the majority of the cases, the decision that you take after Class 12 will be the one that you will have to live with for the rest of your life. There is little scope for changing your career after joining a graduation course and even if you do it, you will still end up wasting the most important and productive years of your life. Why is it a difficult decision? Along with being a very important decision, it is also a difficult decision to take, especially in today’s context. Today, students are faced with numerous options and several courses all of which look almost equally lucrative and interesting. This wide range of courses available today has further complicated the decision making the process for the students. Gone are the days when a career as an engineer, doctor, chartered accountant and in other such core fields was the only good career opportunity. Students today have far more options available to them as compared to the ones a few years back. They are far more open to experimenting with new fields and are building careers as tea tasters, graphic designers, professional photographers, ethical hackers and many other such fields that were completely unheard of a few years back. The introduction of these new fields has been both a blessing and a curse for the Class 12 students. For someone wanting to build a career in an off-beat field, this is a great time to follow their passion. But, in the lure of following their passion, students often end up picking a course or stream that they are not really ready for. Similarly, many students pick certain courses because they perceive them to be easier as compared to other mainstream choices. Often we come across people who are unhappy with their work life and wish they could switch to some other field. But switching fields once you start working is not easy. Thus, students need to be very sure about the course they choose. It’s important to ensure that whatever course you pick is in sync with your personal career interests. How to choose the right Graduation Course? The first thing that you must consider while deciding the graduation course is your interest and passion about it. Having mental clarity about, what you want to do in future and how interested are in a particular field, will go a long way in helping you decide your graduation course. For instance, if you are interested in archaeology but have an interest in chemistry, then Art restoration or Museology might be a good career option for you. Before you decide which course to pursue, it is also important to understand what a course entails and what all does it cover? Simply put, you must thoroughly understand what lies in the store for you once you join the course. 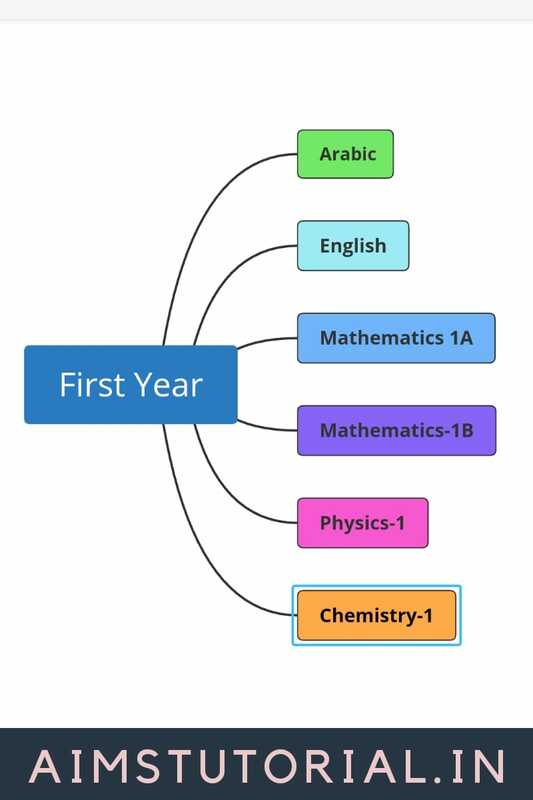 This means understanding what subjects will be covered, what will you learn, what kind of teaching pedagogy is followed in a particular graduation course. There are many ways to gather important information about the graduation course you are planning to take up. The most convenient and obvious would be to talk to your seniors, siblings or parents. People who are working in the fields that are similar to your interest will be able to guide you the best. Alternatively, you can also find relevant information on the internet or consult a career counsellor. Another major factor to consider upon deciding a college course is its future prospects. Especially, if you are considering going for some new or off-beat courses, it is essential to understand the job and further study prospects that it holds. Going for a course that matches your interests is great but you should also be mindful of the future prospects that it offers. One of the major questions that you should try to answer is, ‘What are the career opportunities available after the course?’ Also, look for, what prospects are available for higher studies in the field. After Class 12, Indian students often face only two career choices i.e. Engineering or Medical. But gradually this perception is changing with new and innovative course options emerging. To add to this, today, students have also become more open towards new and off-beat courses and options that are presented to them today. Engineering is one of the most sought after course after 12th. Being a professional course, it attracts almost every candidate who has taken the science stream with PCM subjects. Because of its high popularity, it is also a highly competitive course option which requires one to appear for different entrance exams to seek admission to top engineering colleges in India. The most popular among them is the Joint Entrance Exam (JEE), which is a common engineering entrance exam, organized by the Central Board of Secondary Education (CBSE) for engineering aspirants across the country. Last year alone, around 11 lakh students appeared for the JEE Mains exam which is quite a clear indication of how popular engineering courses are among students. There is a wide range of engineering courses available to the science students. Mechanical, electrical, computer science, civil and biotechnology is some of the most preferred engineering streams. Some relatively new fields like that of nanotechnology, textile, petrochemical, marine engineering etc. are also gaining popularity and offer some exciting career choices upon graduation. Most engineering courses require for students to have a strong background in mathematics and science. After engineering, the second most preferred option for students from science stream is Medical or Medicine. Medicine is the study of life and everything that surrounds it. To put simply, if your dream is to be a doctor, medicine is the stream for you. But in addition to this, you can also take up a pharmacy, agricultural sciences and zoology studies also as part of your medical science studies post class 12. For example, the course of Bachelors in Pharmacy is a very popular course among medical students. It teaches them how drugs are made, how they work and also about drug immunity and the various effects different compounds have on a patient. Students who opt for PCB or Physics, Chemistry and Biology in Class 12 can opt for courses associated with medical sciences including MBBS. Apart from the mainstream career options, medical research in various fields such as that genetics, microbiology, etc. also offer great career opportunities to medical students. Biotechnology is a relatively new course in this field but, is fast gaining popularity and offers great careers opportunities to the students after graduation. Besides these, courses like physiotherapy, nutrition and dietetics etc. are also popular choices among students these days. For students who pursued commerce stream in class 11th and 12th Chartered Accountancy is one of the most popular course choices after 12th. The course helps you learn the nitty-gritty of the financial affairs of companies in accordance with the government laws and also covers topics on taxation, financial transactions through auditing along with the practical training for creating audit reports, etc. Apart from Chartered Accountancy, some other popular course options available to commerce students are Bachelors in Business Management (BBA), B.Com, B.Com (H), Economics (H), CS, Law, Bachelors in Travel and Tourism etc. These courses can help you build a great career as an investment banker, brand manager, human resource manager and other such reputable positions. Students who pursued commerce without mathematics in class 12th might not be eligible for some course available to commerce students after 12th. A background in Arts or humanities offers a wide range of course for students to choose from. Contrary to the earlier trends, more and more students are opting for Arts course after 12th in recent years. Mass Communication, journalism, advertising, interior designing, graphics designing, psychology, sociology, history, fashion designing, photography, Theater etc. ; there are a plethora of courses for an Arts student to choose from. As an Arts student, you can also pursue courses in linguistics, religious studies, art restoration, foreign languages, filmmaking, art history and other such related fields. One of the major concerns for students after 12th is to appear for entrance exams. Almost every stream be it arts, engineering, medical, commerce or any other, has its own set of entrance exams for admission to reputed colleges in the respective domains. Every year lakhs of students prepare diligently to crack the entrance exams related to the courses they are interested in taking at the graduation level. Depending upon the score the students get in these exams, they can apply to a plethora of courses offered by colleges across the country. Because of the increasing number of applicants and fierce competition for admissions, many reputed colleges have adopted entrance exams as a means to screen and shortlist the best candidates suited to their course and college. There are some common entrance exams also, which help students apply to multiple colleges with a single entrance exam. Some popular entrance exam in each study stream is below. AIIMS MBBS National level exam conducted by All India Institute of Medical Sciences (AIIMS) for admission to MBBS seats in AIIMS New Delhi and to the other six new AIIMS like institutions. AIPVT The All India Pre-Veterinary Test (AIPVT) is an entrance exam conducted for admission to five years B. Vsc and AH courses in India. UncategorizedConfused about what to do after 12th?, Explore the right career for you, high salary courses after 12th science pcm, What after completing 12th?, What are the courses after 12?, What should I do after 12th maths?, Which degree is best after 12th?, Which jobs are available after 12?